Savill, P. Perrins, C. Kirby, K & Fisher, N.
This iconic location has been the subject of a series of continuous ecological research programmes dating back to the 1920s, a level of continuity of research effort that is extremely rare. 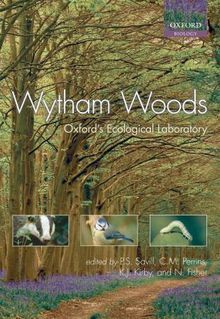 Accessible to both scientist and general reader alike this overview describes the Woods, their history, composition (both plant and animal), and how their wildlife has changed over time. It emphasizes aspects of conservation management and the potential effects of climate change with contributions from some of the world's leading field biologists.It also includes biographical vignettes of the numerous high profile ecologists and evolutionary biologists whose insights from working in these woods have helped define the fields of ecology and evolutionary biology. 80 Black & White illustrations. 8 pages of colour plates. Authors: - Savill, P. Perrins, C. Kirby, K & Fisher, N.